We offer best in class OT Gauze that are widely used in hospitals for general wound dressing and cleaning purposes. Manufactured from high quality gauze, these products offered by us are known in the market for their optimum absorbency. These offered products are available with us in all the standard sizes. We are instrumental in offering optimum quality RO Gauze to our valuable customers. Owing to their longer shelf life, these products are highly demanded across various wound dressing and cleaning applications. Available with us at industry leading prices, these products are highly appreciated among our customers. We offer our clients a wide range of high quality Absorbent Gauze Cloth that is made from high quality raw materials such as natural cotton that is procured only from reliable vendors. 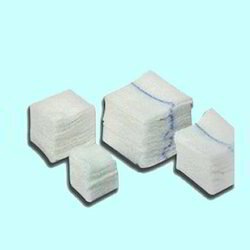 We provide gauze in the form of Absorbent Gauze Cloth, Gauze Rolls, Gauze Bandages, Gauze Swabs and Lap Sponge. 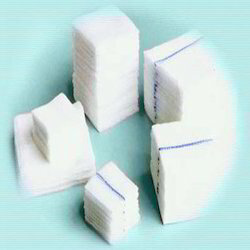 Our absorbent gauze cloth are uniformly woven and neatly rolled and are produced as per Schedule F (II) standards. 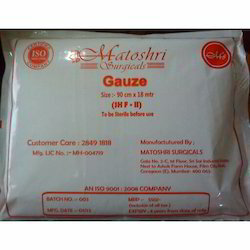 Our gauze is widely appreciated for its ability in quick and fast recovery and healing of wound.